It is good news for older people fearing their memory is not as sharp as it once was. Scientists now believe humans keep growing new brain cells all the way into our nineties. The hippocampus, or memory centre of the brain, shrinks as we age, helping to cause forgetfulness. The loss of brain cells may be the reason some older people start entering rooms only to have forgotten the reason they walked in. But there is now hope that this decline may not be inevitable. While some experts believe we stop growing memory brain cells after childhood, the new study suggests the brain regenerates well into someone’s twilight years. Researchers found evidence of growing brain cells in the hippocampus of people aged 43 to 97. Interestingly, people with Alzheimer’s disease had fewer new brain cells, even in the early stages of the disease, before other brain changes emerged. The effect on growing brain cells could give doctors an earlier test to detect Alzheimer’s in people before they show symptoms. 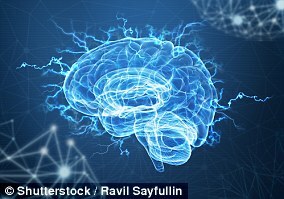 Dr Maria Llorens-Martin, who led the study from the Molecular Biology Centre (CBMSO) in Spain, said: ‘These results suggest that when people lose brain cells in old age, they might be able to generate new ones to replace them. That opens the possibility of generating new memories using new brain cells. ‘If we are able to confirm these findings in living patients, this could pave the way in the future for an earlier test to detect Alzheimer’s disease, a drug to treat it or healthy lifestyle advice. A study last year concluded that new brain cells, or neurons, in the memory region of the brain either do not exist or are extremely rare in adults. Its authors, from the University of Southern California in San Francisco, said these brain cells ‘decline’ in children, and are ‘undetectable’ by the time we become adults. But the Spanish authors of the new study say proteins produced by growing brain cells may previously have been ‘hidden’ from scientists after mixing with preserving chemicals in brain banks. The majority of brain cells we need are in the brain when we are born. But researchers still found ‘thousands’ of apparently young brain cells in the memory centres of 13 healthy people aged 43 to 87. These were detected by sending antibodies to find the proteins, which are oval for older brain cells and longer in shape for younger ones. The surprising finding from the study, published in the journal Nature Medicine, came from looking at the brains of another 45 people aged 52 to 97 at various stages of Alzheimer’s disease when they died. Their brains showed fewer growing brain cells, suggesting the memory-robbing disease stops new brain cells from forming or surviving. This could in future lead to a new drug to reverse memory loss in people with dementia. The change in immature brain cells was worse in people with end-stage Alzheimer’s. But it was found even in people with very early-stage Alzheimer’s, before the plaques and tangles of protein usually used to diagnose the disease. 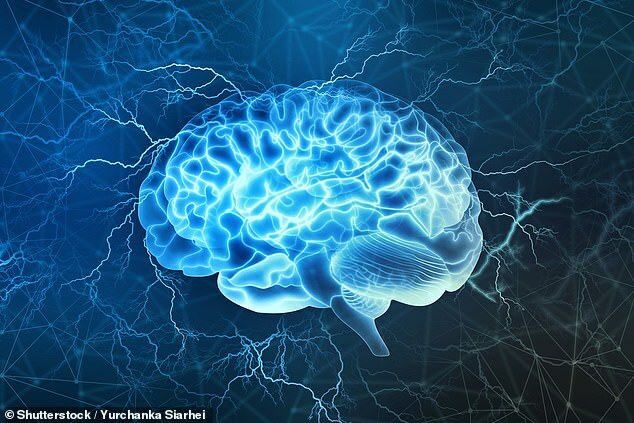 That could mean a new test for dementia which picks it up earlier in the brain. Dementia is an umbrella term used to describe a range of progressive neurological disorders, that is, conditions affecting the brain. There are many different types of dementia, of which Alzheimer’s disease is the most common. Some people may have a combination of types of dementia. Regardless of which type is diagnosed, each person will experience their dementia in their own unique way. Dementia is a global concern but it is most often seen in wealthier countries, where people are likely to live into very old age. The Alzheimer’s Society reports there are more than 850,000 people living with dementia in the UK today, of which more than 500,000 have Alzheimer’s. It is estimated that the number of people living with dementia in the UK by 2025 will rise to over 1 million. In the US, it’s estimated there are 5.5 million Alzheimer’s sufferers. A similar percentage rise is expected in the coming years. As a person’s age increases, so does the risk of them developing dementia. Rates of diagnosis are improving but many people with dementia are thought to still be undiagnosed. Currently there is no cure for dementia. But new drugs can slow down its progression and the earlier it is spotted the more effective treatments are.